Saturday 25th November saw the annual EGB Gala Dinner and Awards ceremony take place at the Daventry Court Hotel, Daventry and was attended by nearly 250 people – a nearly 20% increase on last year! It’s a fantastic opportunity for our members to gather together and celebrate the achievements from the year and, as always, included an ‘Ode to the Horse’ – the most important partners in our sport. A full list of award winners will be published on the website in the next couple of days, but in the meantime we wanted to highlight our Championship winners. 2017 was a hugely successful year for our Young Riders and we are extremely proud to share with you that this year, Endurance GB’s Overall Champion is Young Rider Emily Cooke, having achieved a fantastic points total of 2288 with her horse Lady’s Man. 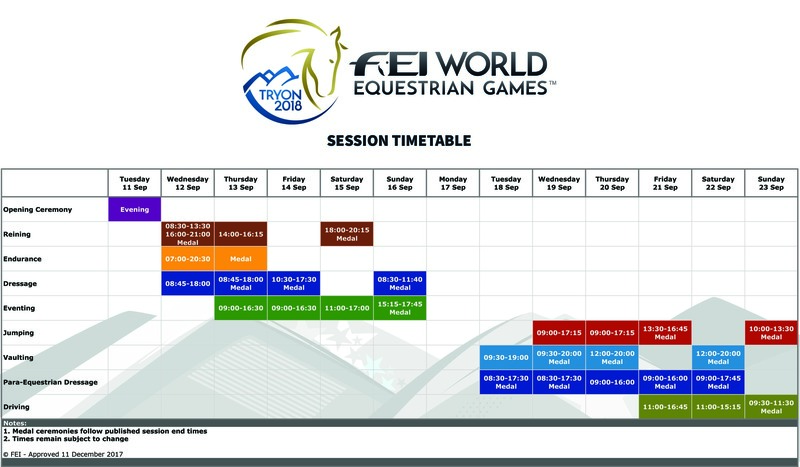 The FEI has announced that it will re-open the bidding process for the World Equestrian Games 2022. 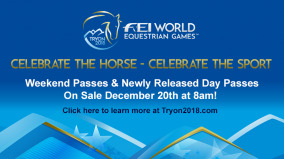 The announcement was made during the FEI’s General Assembly that Samorin had recently decided not to sign the host agreement. Despite lengthy discussions with the FEI, the Samorin team has withdrawn its bid and the FEI Bureau has decided to re-open the bidding process. Emirates International Endurance Village, Al Wathba, United Arab Emirates. Saturday 11 November 2017. After a series of qualifying races and races for private stables we saw this Saturday with the Al Wathba Challenge the first ‘open race’ for the season in the United Arab Emirates. The national race, CEN 120km, was divided into four loops of 40, 35, 25 and 20km. According to UAE standards it was a rather small entry field with 148 participants, because the organiser only accepted up to 4 horses for each stable. The Al Wathba Challenge gives enough resting time for the horses ahead of the National Day Cup and is considered for many stables as a try out for the bigger race. For the second weekend in a row, there have been fatalities in a United Arab Emirates endurance ride, this time in the AL MARMOOM ENDURANCE CUP – CEN 120 KM. But the two horses concerned here are particularly special. They rose from the dead when the results were altered an hour or two after being published on the official scorer's website, Tawqeet. The ride was organised by the Dubai International Equestrian Club in association with the Emirates Equestrian Federation. Catswhisker Tiro Centauri, a ten-year-old chestnut gelding, and Kurrajong Unique a 16-year-old bay gelding were both listed on the original live scores as CI, Catastrophically Injured. Catswhisker Tiro Centauri apparently met his end on the second loop, and poor Kurrajong Unique did not even get as far as that, he was out the first gate. The horses are both registered in the UAE and both appear to come from the same training stable although Kurrajong Unique was ridden by a Bangladeshi national Nur Mohommod Ali Bablu. Catswhisker was ridden by a more experienced rider, Khalifa Mohammed Saeed Salem ALKHYELI. NOT DEAD AFTER ALL........ ? The first endurance races of the new United Arab Emirates were completed in the last few days but despite plans for new rules to be considered at this week's FEI General Assembly and the sterling efforts of Sheik Sultan's Boudheib Initiative, another horse has ended up dead. The Spanish bred ESTEL DE MONTFLUQ (UAE) FEI number 103MW80 was competing in the CEI1* ridden by Saqar Hilal al Marouqi was originally listed on 8th November on the offical Tawqeet scores as FTC (Failed to Complete) but the horse was listed as deceased on the FEI database the same day. The horse's FEI record was subsequently updated by the FEI on November 10th to CI (Catastrophically Injured). Led by Professor Tim Parkin and Dr Euan Bennet from the School of Veterinary Medicine at the University of Glasgow, the GEIS was set up in 2015 and is one of the largest studies of its kind. The initial aim of the study was to provide evidence-based information for regulatory changes to Endurance rides focussed on minimising the risk of equine injury. Findings of the Endurance study to date were presented at the FEI Sports Forum 2017 and this year’s Endurance Forum, with the clear message that speed and insufficient rest periods are key risk factors, highlighting that an increase of seven days on the mandatory rest periods established in 2014 could potentially prevent up to 10% of the failed-to-qualify statistics. This scientific insight has provided a crucial basis for proposed changes to the FEI Endurance Rules, which will be presented and voted on at the FEI General Assembly this Tuesday 21 November. The extension of the study will look at the development of predictive models categorising the highest (and lowest) risk horse starts included in the FEI’s Endurance database. Predictive models look at the modelling of populations as a whole with potential application to event management, exploring the high-level science behind the impacts of changes in weather, terrain, speeds and other factors. The study will also seek to develop a risk calculator for use by veterinary delegates to risk-assess all horses before and during rides, utilising this scientific knowledge and learning. Looking towards the future, the Glasgow team will establish the potential use and analysis of data processed by this methodology in other FEI disciplines, starting with Eventing. In collaboration with the FEI, Professor Parkin and Dr Bennet will look at data-gathering protocols and prepare for the early analysis of data when it becomes available by adapting code and analyses for discipline-specific risk factors and outcomes. Data collection parameters will be developed for injury recording both during and after events. Dr Euan Bennet said: “We are very pleased to be able to extend this important work further. Initial findings have demonstrated the huge potential of using the data scientifically to inform and influence decisions and we are genuinely optimistic that this important collaboration with the FEI will have a significant positive impact on equine welfare”. FEI Veterinary Director Göran Akerström commented: “Since the GEIS was commissioned in 2015 the results have shown the importance of the work. 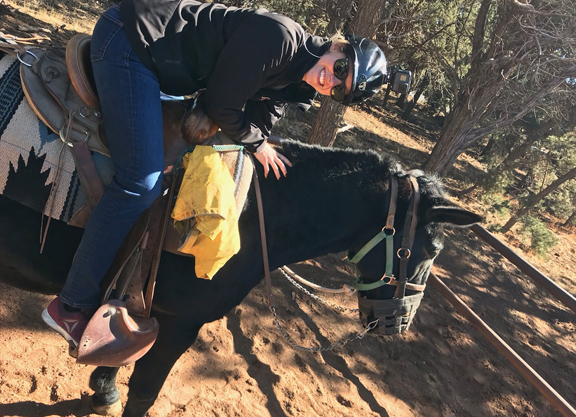 Scientific research is a crucial element of horse welfare and something that the FEI is very invested in across several projects, so we’re proud to announce the extension of this collaboration and the exploration of its application to other FEI disciplines. Tim Parkin is Head of the Division of Equine Clinical Sciences, Clinical Director of the Weipers Centre Equine Hospital and Professor of Veterinary Epidemiology at the School of Veterinary Medicine, College of Medical, Veterinary and Life Sciences, University of Glasgow. He qualified from the University of Bristol with degrees in Zoology (1992) and Veterinary Science (1998). He immediately took up a position at the University of Liverpool and completed his PhD on the epidemiology of fractures in racehorses in 2002. He has worked on numerous projects with several different racing jurisdictions around the world, including the UK, Hong Kong, Japan, Australia, South America and the USA, and more recently worked closely with the FEI to maximise equine welfare at endurance events. He gained his Diploma of the European College of Veterinary Public Health in 2006 and has worked at the University of Glasgow since February 2007. Euan Bennet is a Postdoctoral Research Associate in the Division of Equine Clinical Sciences at the School of Veterinary Medicine, College of Medical, Veterinary and Life Sciences, University of Glasgow. He qualified from the University of Glasgow with an MSci in Astronomy and Physics (2008) and graduated with a PhD on plasma physics in the early Universe (2012). Following that he worked as a postdoc in the Astronomy and Astrophysics research group in the School of Physics and Astronomy at the University of Glasgow, before being recruited for his current role. Since November 2015 he has been providing in-depth epidemiological analysis of Endurance riding utilising the Global Endurance Injuries Study for the FEI. The University of Glasgow’s School of Veterinary Medicine, founded in 1862, is renowned for teaching, research and clinical provision, and attracts students, researchers and clinicians from around the world. The internationally accredited school provides expert referral services via the Small Animal Hospital, the Weipers Centre Equine Hospital and the Scottish Centre for Production Animal Health & Welfare alongside a full range of Veterinary Diagnostic Services for animal owners and referring practitioners throughout the UK and beyond. In the 2014 UK-wide Research Excellence Framework (REF2014), Glasgow’s veterinary and animal health research activity was ranked top amongst the UK veterinary schools for research quality with an outstanding contribution to societal impact globally. In the 2016 National Student Survey, the School of Veterinary Medicine was voted number one in the UK for Veterinary Science. 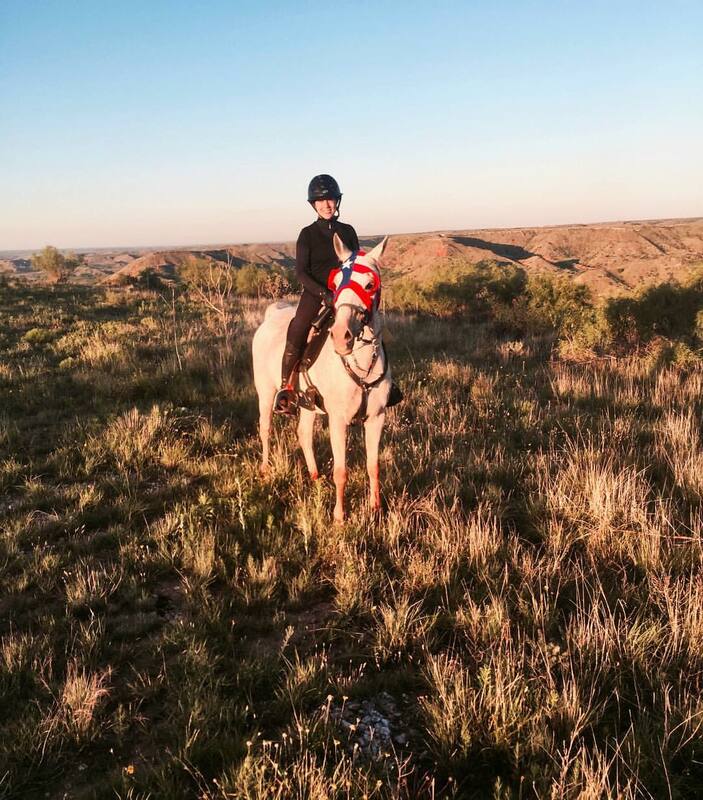 A riding club competitor who was looking for “a fresh challenge” has gone from endurance to race-riding to showing during her time in the saddle. Dentist Jane Willett, 46, had a background riding Arabs in endurance and dressage but was inspired to push herself towards a new discipline by the story of Hannah Francis, the determined founder of Hannah’s Willbery Wonder Pony Charity. Race report made with the assistance of Bosko Milivojevic. Equestrian Club Cadence, Buzet, Croatia. Saturday 21 October 2017. Thirty riders (from Austria, Croatia, Italy, Slovenia, and United Kingdom) entered the CEI1* and CEI2* races organized by the Equestrian Club Cadence (Konjički Klub “Kadenca”). Most of them successfully completed their Saturday rides on the challenging course set in the valley of the longest Istrian river – Mirna river and surrounding hills. This was the second ride organized by the EQ “Cadence” at the same location and with somewhat altered course and the first successful organized by one of the Croatian equestrian clubs. This event gathered the equestrian elite from Croatia and the region for riders and horses to measure their stamina and skill at the international FEI rides and the Croatian national finals. Also to join the successful event were riders from Slovenia who decided to organize their National Cup finals along with Croatia. Plans for the 2018 race are well underway and as the event continues to evolve and flourish, we know it's going to be the most magnificent one yet. Applications are open now, but spaces are filling up faster than ever. The event is already well over half full and there's already quite a list of people to interview. If you want to get your name in the hat, with a chance to win - or simply be a part of - the world's longest and toughest horse race, then get in touch. We're available in HQ between the normal office hours Mon-Fri and love a good chinwag.